Just days before Season 8 was released I was invited to ask the Star Trek Online Executive Producer Daniel Stahl anything I wanted. But after such a hugely in depth and successful dev blogging push it seemed like there weren’t many things left to ask. So I went away from the traditional questions and went a little more obscure. This as it turns out worked in my favor as people got bogged down with other, more important things so my questions went unanswered for some time. But now, we have them at last. And we can find out everything you wanted to know about Season 8 but were afraid to ask. Leliah: How does Season 8 differ from previous seasons? Daniel: Season 8 features some of our most ambitious group content to date. 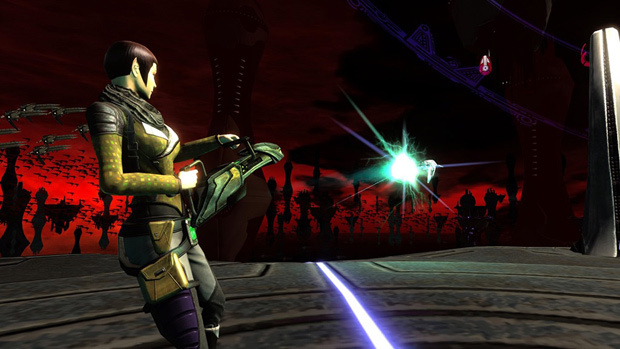 The brand new Battlezone will challenge groups of players to defeat Voth that are entrenched in a ground installation. 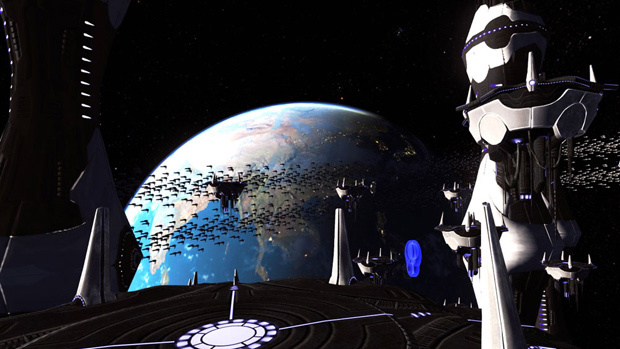 The immense Voth Fortress Ship will dwarf players and push them to coordinate in an effort to breach the ship and take it out from the inside. Tied to these events, and several more, is a new reputation. This rep has been designed to be more player friendly from the ground up, while still providing some of the best rewards in the game. All in all, this season is jam packed with exciting, interesting, and rewarding content. Leliah: There’s a lot of excitement around the new Federation tutorial. How is it different to the previous, and more importantly will there be a way for veteran players to take part and get the story related Bridge officers? Daniel: This tutorial really focuses on how the player fits into the STO universe, and sets you in a great position to enjoy the story. You begin as a graduating cadet and through skill, nerve, and guile you will prove yourself worthy of the captain’s chair. Once there, you’ll have two new mini-missions to complete where you cement your role as a commanding officer and earn your commission and ship in Starfleet. Along the way you will meet your bridge crew, most importantly Elisa Flores. She’s tough, smart, funny, and has just enough punch to keep things interesting. She’ll be your first bridge officer and will have plenty to say on your adventure through the tutorial. For players that have completed our previous tutorial, Elisa Flores is available for free on Starfleet Academy. Daniel: Our goal is to keep players as informed as possible on all of our releases! It’s our hope to let people know exactly what we’re working on so they know what to expect and give us feedback to review right away. Our goal isn’t to put you out of business, but to give you more information to talk about! Besides, you get to run this nifty interview full of fun new information. Leliah: When picking a race to go up against, why did the Voth get chosen? Also, how did you change them to bring them down to our level? As if we take them as they were seen on TV their technology was vastly superior. 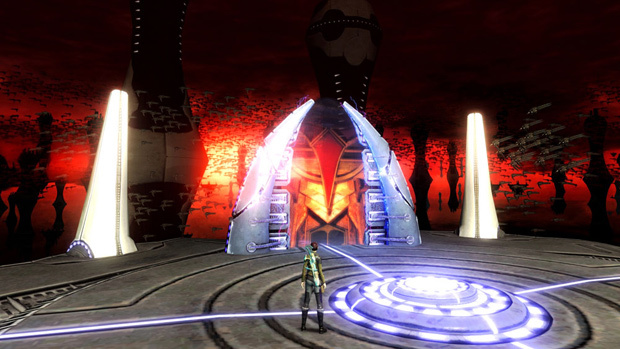 Daniel: The Voth fit into our larger goal for the STO story. We wanted someone technologically imposing that would be drawn to the even more advanced Dyson Sphere tech. As for the Voth’s superiority, I’d say it’s more of a case of us catching up in the intervening 30 years than them being reduced to our level. The Voth have been at the top of the technological ladder for a long time; the alliance is trying to challenge them for that title. Leliah: Having asked a lot of STO players what questions they would ask a dev the question was more often than not “When are we getting x?” or “Will they add something to make x better?” How do you respond to requests like this? And when will STO get that really cool thing that everyone wants but actually changes depending on who you ask? 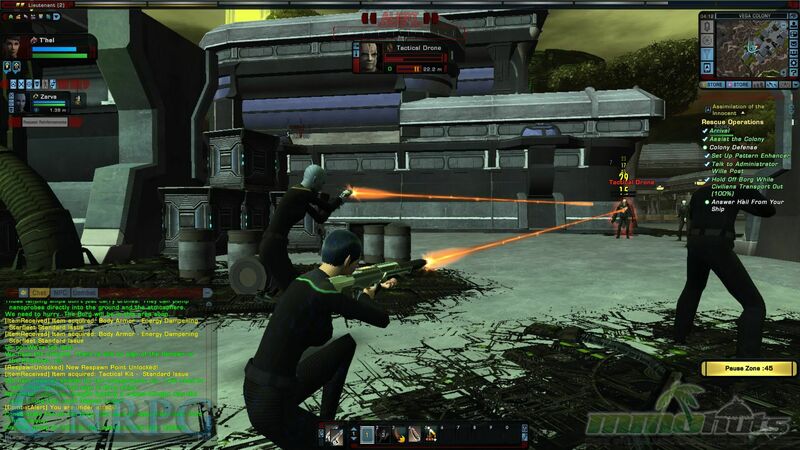 Daniel: All of the devs over here are huge fans of the Star Trek IP, and STO as well. If a player has thought of something really cool they’d like to see in the game, it’s likely that we’ve at least spoken about it internally. Since that’s the case, we typically can tell them where the feature or addition stands on the pecking order and if they can plan to see it soon or not. 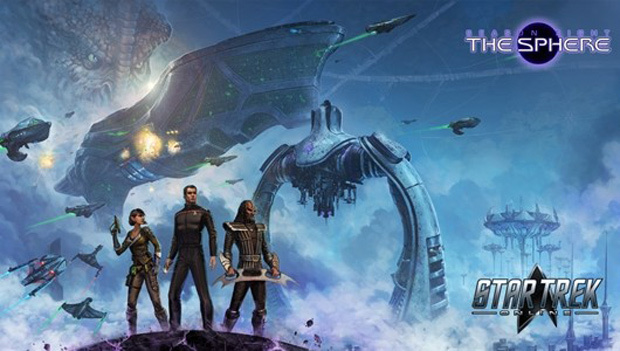 Everyone has their own idea of what will be cool for STO, and if you look at the growth this game has had over the last 3.5 years I would say nothing is out of the question given the time. Leliah: Did you get to work with Michael Dorn? What was that like? Daniel: I personally didn’t get to work with Michael Dorn, but the entire team was incredibly excited when he was signed. Everyone was taking turns heading over to the closed doors in the audio area to eavesdrop on him reprising a role he hasn’t played in 10 years. Like I said earlier, we’re all Star Trek fans first and the fact that he was recording for STO was a surreal experience. Leliah: Can you tell us anything about the upcoming holiday plans? Will there be any updates to the traditional Q fun? Daniel: Our Winter Event is definitely coming back, expect a dev blog very soon to give more details! 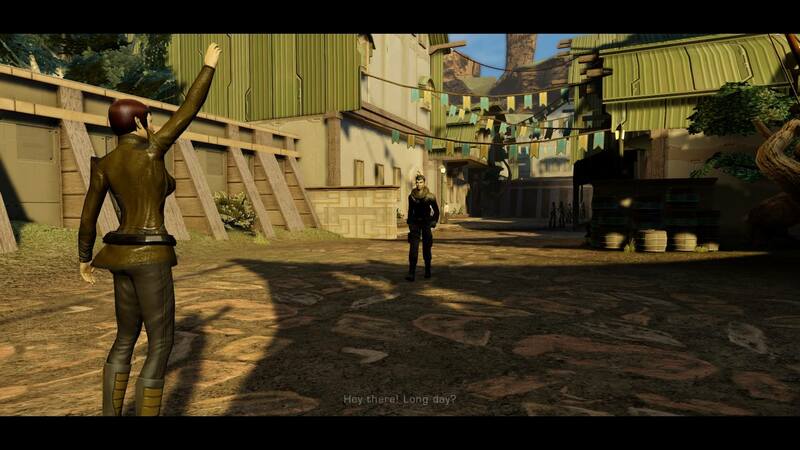 Leliah: Short of using the good Timeship Aeon to find out, what can you reveal about what comes next for STO? Daniel: We’re keeping details for 2014 close to our vest for now, but more details will become available as the year progresses. Leliah: Thanks for the honest answers. We’ll keep a close eye on those blogs and keep our audience up to date on all the goods! And if you haven’t yet, don’t miss out on a free Bajoran uniform pack while our supplies last!